Rob had the pleasure of shaping a board for Stab Magazine's 4th Stab In The Dark , a blind surfboard test with this years' surfer, Mick Fanning. 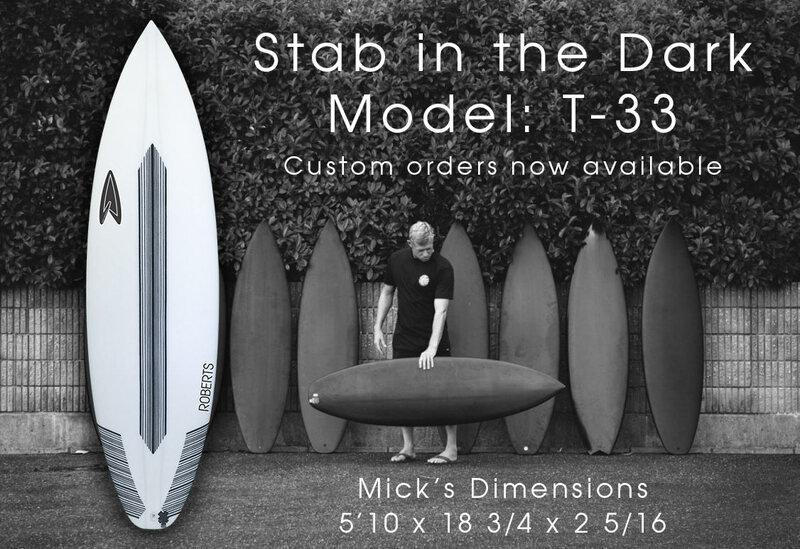 This model, the T-33, is now available for custom orders and can be made in any of our board construction technologies. Mick rode a 5'10 x 18 3/4 x 2 5/16, 26.86 liters, with RTF Tapered Dual Density construction using Epoxy eco-resin from Entropy . CONTACT US to place an order.